It might be a cookingshow but host Janice de Belen pointed out that Spoon is more interested in presenting heartwarming stories to viewers rather than just teaching them how to mix the right ingredients. "There's a lot of laughter andfun, I guess that's what makes the show different," explained Janice. TV host Janice de Belenknows that cooking, eating in particular, is supposed to be fun and engaging.And that's why she's very proud of her cooking-talk show, Spoon, shown on NET 25. "Well the idea iscooking show talaga. Siguro what makes it different because when you watch acooking show usually it's very technical. This time it's a little differentkasi bilang babae ‘di ba mahilig ‘yang makipag-kuwentuhan? 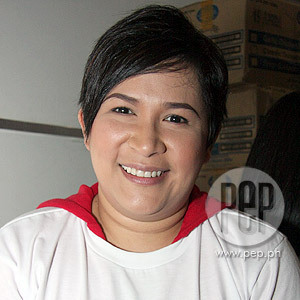 They invite friendsover so luto kayo, magku-kuwentuhan kayong mga magkukumare, magkakapit-bahay,so ‘di ba you share experiences, you share kuwentos sa mga buhay ninyo," Janicetold PEP (Philippine Entertainment Portal) last November 11 in an interviewconducted at SM The Block in Quezon City. Indeed, what makes Spoon more interesting is the presenceof celebrities sharing more than just their culinary know-how. As stressed byJanice, the show's main objective is to present the natural side of thecelebrities over a hearty meal. Knowing a certain recipe is not even a strict considerationas Spoon is more interested insharing heartwarming stories to the viewers more than anything else. Explained Janice: "Minsansila [celebrities] ‘yong nagluluto minsan pinagluluto ko sila or minsan namanpara kaming nagtuturuan magluto, tinuturuan ko sila magluto." STAYINGAWAY FROM GOSSIP. As tempting as it is to resort to gossipchats, Janice pointed out that it is a conscious effort on her part to veeraway from asking sensitive or intriguing questions so as not to smear Spoon's concept as well as the mood ofthe guests. "The only thing I stayaway from is something na nababasa na natin parati sa diyaryo, ‘yong mgaintriga, ‘yong mga bagay na hindi nila gusto sagutin, mga tsismis ‘yon naman ‘yongmga ayaw ko," shared Janice. There were instances,however, when the conversation naturally touches on certain personal issueseven without the need for Janice to probe. "If you would volunteerthe information that's a different story," she mentioned. "Kasi I came frombeing a celebrity talk show host, e mahirap mag-milk ng artista for info nafrom the very start, e ayaw naman nilang ikuwento." Being a celebrityherself also makes Janice more understanding when it comes to certain private matters.Besides, the idea of inserting intrigues would only contradict the relax vibe theshow is trying to project as celebrities "tend to clam up" once they felt thatthey're being put on the spot. "Every episode offersan experience and each one is different. There are times we laugh at theseexperiences and there are times that we cry and laugh at the same time,"enthused Janice. Now entering its newseason, Spoon promises to offer more heartwarmingstories as told by the country's biggest stars and celebrities. Watch Net 25's Spoonevery Sunday at 6:30 pm with replays every Saturday at 11:00 am and Monday,Wednesday and Friday at 9:00 am and 6:30 pm.